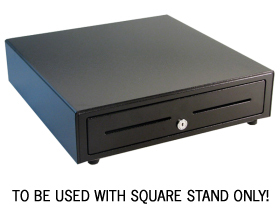 Square stand meet USB printer. A match made in POS heaven. This version includes a tear bar instead of an auto-cutter. If you prefer the version with an auto-cutter click here. The TSP113 receipt printer is a fast, efficient, and reliable receipt printer that connects directly to Square Stand via a USB cable. The Star Micronics TSP113 thermal receipt printer has fast print speeds (150 mm/second) for heavy use environments like cafes and retail stores. 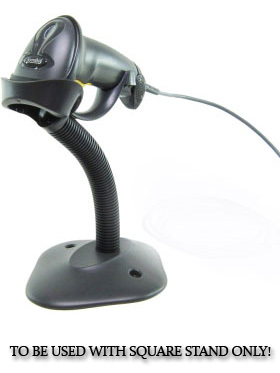 The TSP113 connects directly to Square Stand through a USB cable for easy set up. Thermal receipt printers use heat to print receipts on special heat-sensitive paper. They are fast, quiet, and clean to operate. TSP113 has a tear bar and is compatible with 80 mm (3.125 inch) thermal receipt paper. Printer accessories are available for this printer including a splash-proof cover, vertical stand and extended warranties, such as the Swap-A-Star or Extend-A-Star warranty. This version includes a tear bar instead of an auto-cutter. If you prefer the version with an auto-cutter click here.